Money habits start at a young age so it’s important we not only lead by example but also talk to our kids and grandkids about money matters. This is becoming increasingly difficult as we move into a digital economy. 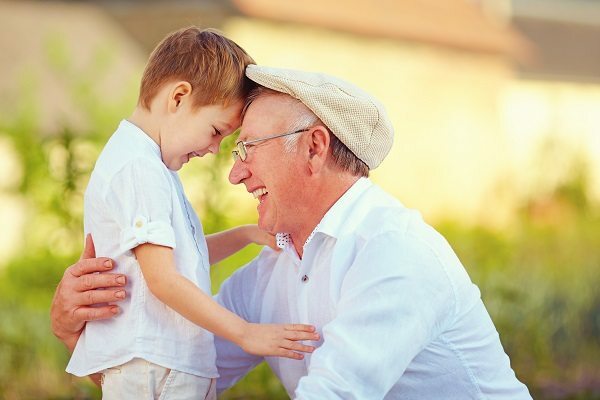 This week is Financial Planning week, organised by the Financial Planning Association of Australia (FPA), and this year the focus is around “sharing the dream” with the next generations. Money habits start at a young age so it’s important we not only lead by example but also talk to our kids and grandkids about money matters. The fact that we are moving more and more into a digital economy, with the younger generations now referred to as the “invisible-money generation”, is making it harder for parents to know how to teach kids about money. For example, is pocket money still an effective teaching tool, or perhaps a simulated debit card with a virtual account is a better alternative. Research published by the FPA suggests parents hold themselves accountable when asked who is most responsible for shaping the next generation’s perspective on money. They list themselves (95%), grandparents (63%), and teachers or coaches (59%) as the top three influencing forces responsible for passing on money values. Parents also emphasise the impact of their child’s peers (26%) and social media (18%), comprised of YouTube (10%), Facebook (5%), Instagram (2%), and Snapchat (1%) have on shaping their child’s current money worldview. When parents talk to their children about money, they mostly focus on pragmatic, day to day money matters. 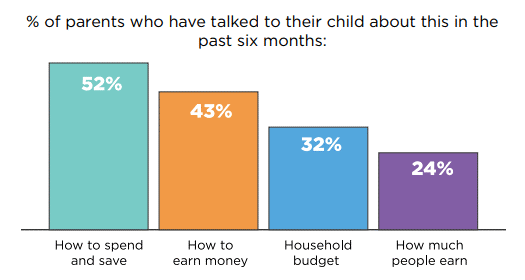 When it comes to talking about invisible money, parents often don’t know where to start. 50% of Australian parents say they have had regular or occasional conversations with their children about money in the past month, few are being had about contemporary money matters such as online purchase, in-app purchases, Afterpay, and cryptocurrencies. The world has changed and is continuing to do so at a rapid pace, but we need to keep up if we want our kids to develop good money habits. If you’d like to get a FREE copy of the FPA’s ebook on “How to Talk Money with Children”, send us a message via the right hand side “contact us” form, and we’ll send you a copy.